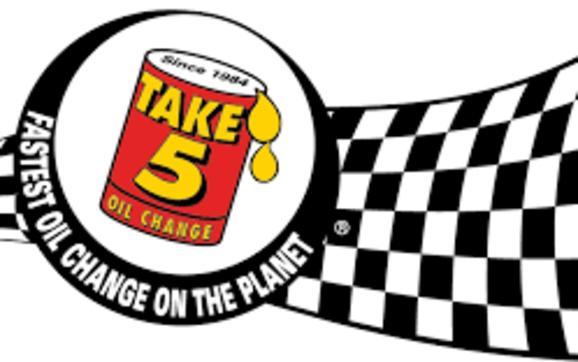 Take 5 Oil Change is located on Gulf to Bay Boulevard near the DQ. They've been located there for approximately 10 years for all you guys that have not seen them. Current manager is Treco Miller. He has worked his way up from the bottom to the manager of the store. He knows every job there is to know and he knows what people need and want. Is a firm believer in customer service and believes that is what makes his company and his particular franchise on Gulf-to-Bay stand out. His customers keep coming back because they like his service and his attitude. Treco has been working on cars since 1988. Treco has 4 children and is a wonderful father and husband. His littlest girl named Zamora, is so cute. She likes to work with Daddy at the store but don't expect her to change your oil. Treco is a Florida State Seminoles Die Hard fan. But I don't I don't know when they win if he'll give you a better price but he's a lot happier when they do win. Treco his very interested in helping other people and he sometimes can be found at the homeless shelter feeding meals to the homeless. He doesn't make the soup but he sure serves it. If You Need An Oil Change Go To Take 5 Oil Change! They have a full staff of six people ready to serve you and get you in and out fast and they do it with accuracy, service and dependability. The nice thing about Take 5 Oil Change is that you are in and out fast. You do not need to have an appointment and I do know personally that I was treated very well especially because I was a veteran. WaBamm is very excited to have them listed in our website. Shop local is our motive and our slogan and here's a company that can fulfill that need and want. Give them a try!! You'll be glad you did.